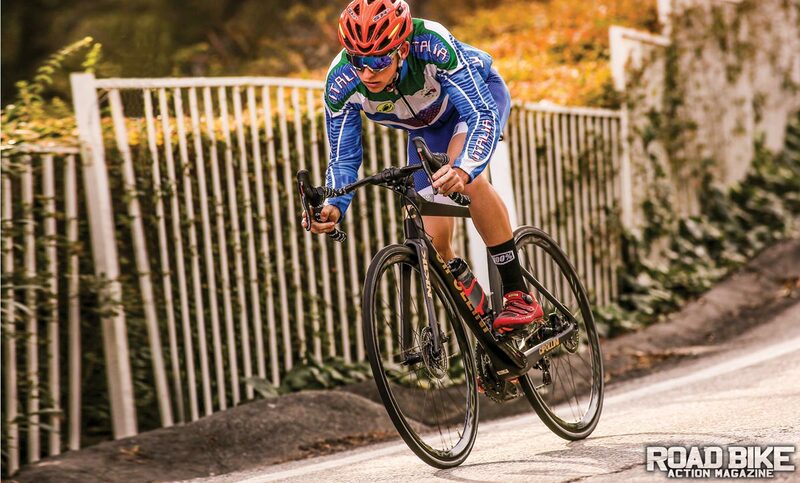 To know about bike racing is to know about Mario Cipollini—and vice versa. Over a racing career that spanned 15 years, “Super Mario” was renowned as much for his race-winning speed (2002 world champion) as he was an indelible sense of personal style that often bordered on the outlandish. In terms of fan appeal and charisma, Cipollini’s performance both on and off the bike made Peter Sagan seem downright tame in comparison. In the years since his race career ended, “Cipo” has remained a bike guy, as much because he still likes to ride bikes, as riding bikes gives him the regular opportunity to appear shirtless in company promo videos bearing his tanned and muscular upper body. An unpainted, medium-size frame has a (claimed) weight of 1120 grams. Thanks in part to using a BB386 bottom bracket, the lower frame junction has as much surface as any two other bikes. The results, as intended, provide for massive chainstays and room for up to a smallish 28mm rear tire (the old-school version of a “big” tire). Although our bike was wired, the frame also has ports for mechanical cables. 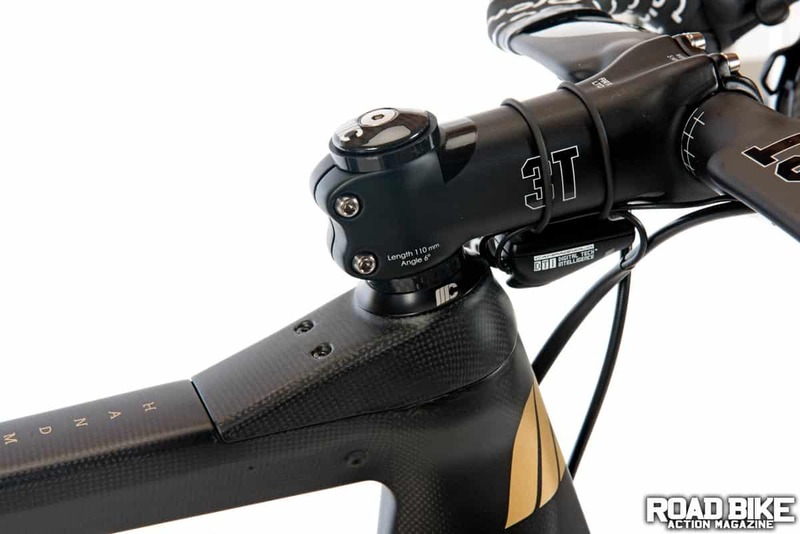 Falling in line with the design trend of internal cable routing has come the integrated headset spacer, which provides the visual trick of avoiding a stack of spacers on the steerer tube when needed to raise the stem. With the spacer bolts on the top tube, you can choose either a zero or 16mm-tall stack. Our bike was fitted with the latter and added comfortably to the short 130mm head tube. 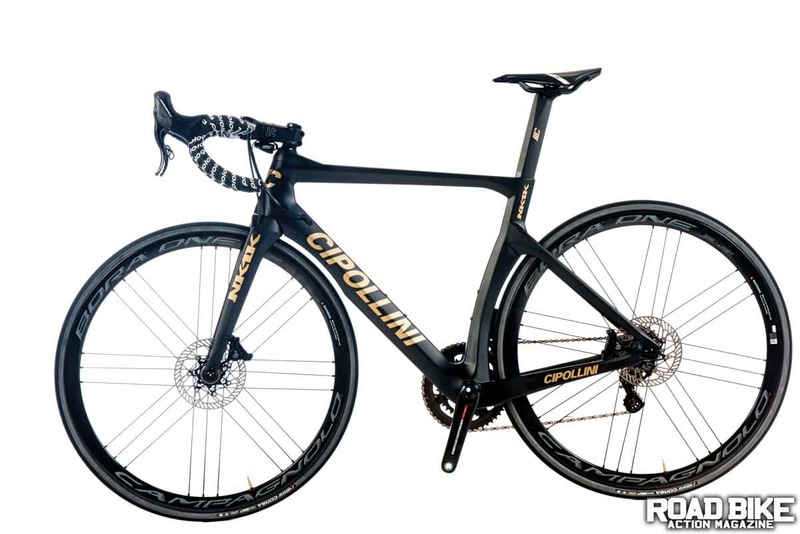 Starting with the Campagnolo EPS Super Record drivetrain, our test bike came equipped with a full complement of Italian components and hardware. 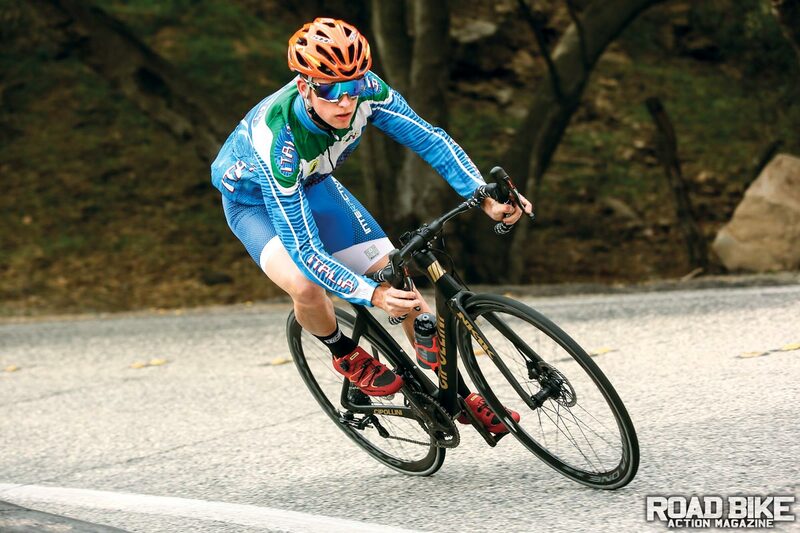 This was our first stab riding the electronic drivetrain with their hydraulic disc brakes. While the Super Record ergos and shift performance are as good as they get, the flat-mount disc brakes are the best there is. The Italian-made frame has the opportunity to show off its quality craftsmanship. The Campagnolo Bora One carbon wheels were mounted with Vittoria Super Corsa tires, the latter of which are celebrated for their supple ride but also known to be a bit sensitive to road hazards. The bike uses a dedicated carbon seatpost, and ours was topped with a new Prologo Dimension 143 “shorty” saddle. Cockpit duties were handled with a 3T Stealth stem and the radical Aeronova handlebar, which, at first, was quite off-putting due to its sharp trailing edge, long (104mm) reach and strange ergo positioning. 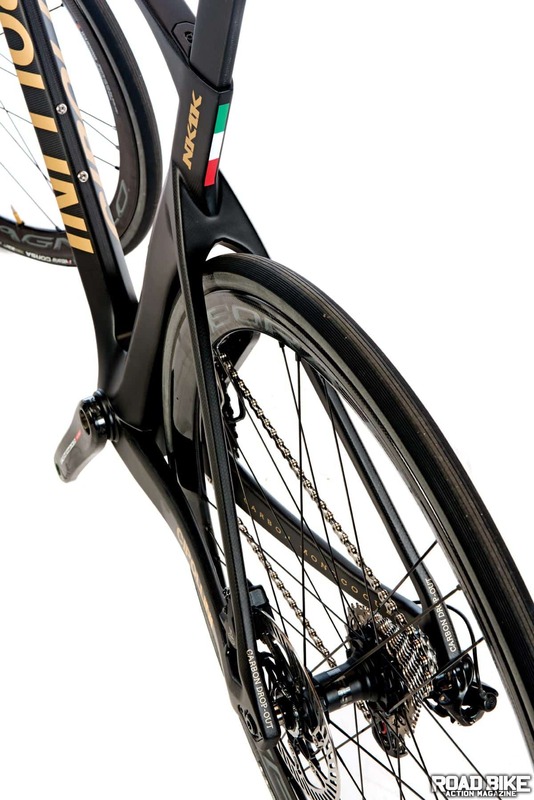 The NK1K shares the current fashion of using an integrated stem spacer to maximize stiffness and aesthetics. Thanks in part to the stiff frame and the 99cm wheelbase, high-speed cornering seemed to be the place the NK1K liked to call home. The Vittoria Corsa tires are also well regarded for their suppleness and helped the Cipollini stick like glue in the twisties. As big of fans as we are of Campy’s Ergopower shifters, the EPS version took a little getting used to due to a bulge next to the shift knob that makes room for the electronic parts. Annoying at first since it interrupted our preferred grasp of the brake hoods, it eventually faded from notice, and we went back to just enjoying the dual-position shifters and their efficient performance. high-speed handling traits, this is a bike writ large with serious intentions.